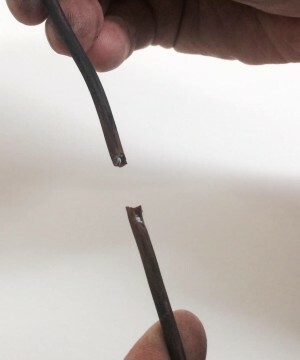 Copper expands and contracts with temperature fluctuations. 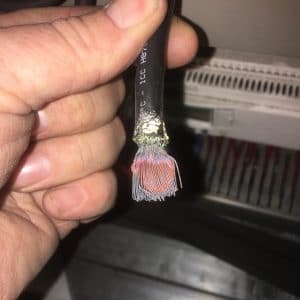 These photos show a relatively new cable that has deteriorated due to a loose connection which was caused by extreme temperature fluctuations inside the control panel it was housed in. 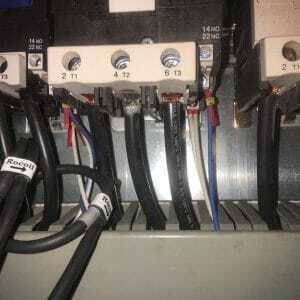 The control panel is for a set of three large 400v motors running around 300A in total controlled via inverter units. The panel was situated next to an external wall and had a large fan that had been vented to the exterior without a flapped vent outside. 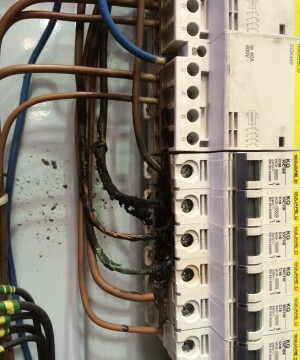 Running temperatures inside the panel have been recorded around 45°C whereas a recent spell of blustery cold weather has brought external temperatures of well below freezing. 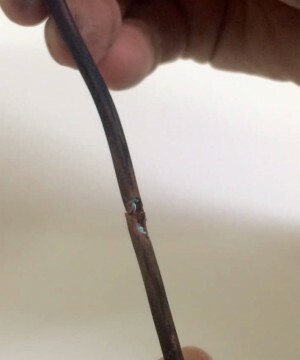 This temperature fluctuation has caused the cable to contract from its full load expanded size which in turn has caused a loose connection that deteriorates further the more it is used.